Smoked brisket : To wrap or not to wrap, that is the question. 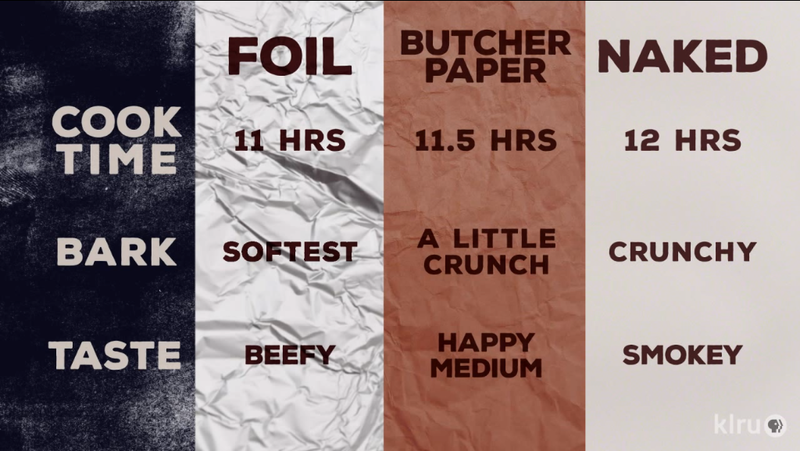 Whether it is foil , butcher paper or simply a naked brisket, the debate has been going on forever. In the following video, “Level 7 brisket Captain” Aaron Franklin and playwright/BBQ pitmaster John Markus are comparing the results of all three methods, hopefully helping you decide which one you prefer. The first brisket that the two Pitmasters tried was the foil wrapped one. It had good moisture and the fat had rendered well inside the brisket. It was soft, and had a nice beefy taste to it. Then they moved onto the butcher paper-wrapped brisket . Again, great moisture and fat render, and the meat felt a little firmer to the bite. The flavor was also stronger than the foil wrapped brisket. Finally, the unwrapped smoked brisket . The big difference was the crunchiness of the bark, which felt “like a party treat”. The smokiness in the flavor felt more like a central Texas-style brisket. The taste leaned more towards “smoky” than “beefy”. The conclusion was this: take your time to figure out how you like it better, changing one variable at a time. Smoked Beef Brisket Recipe – 20 Hours Low N Slow According to the saying “low and slow is the way to go”, so here’s a beef brisket recipe that does exactly that. With smoking time at approximately 18 to 20 hours, this is definitely worth every minute that you will be impatiently waiting for that delicious brisket! 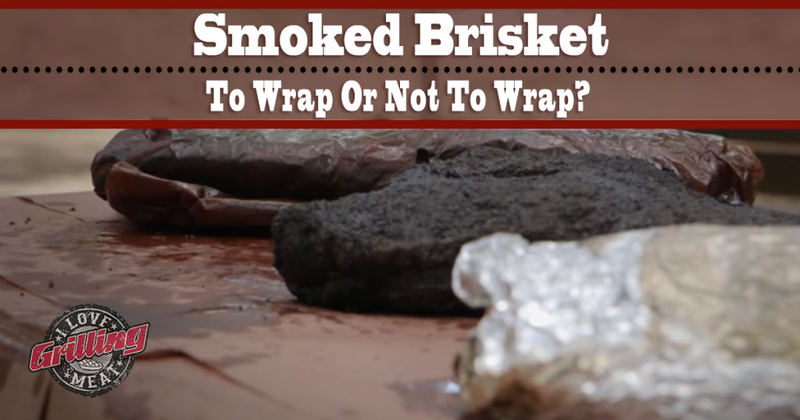 One Response to Smoked Brisket: To Wrap Or Not To Wrap?